Bécs is without doubt an album of return for the Austrian composer Fennesz: a return to a solo dimension – after the collaboration in 2012 with the piano of Ryuichi Sakamoto – but also a return to the label, Editions Mego, who produced the wonderful Endless Summer in 2001, that is one of his best works. 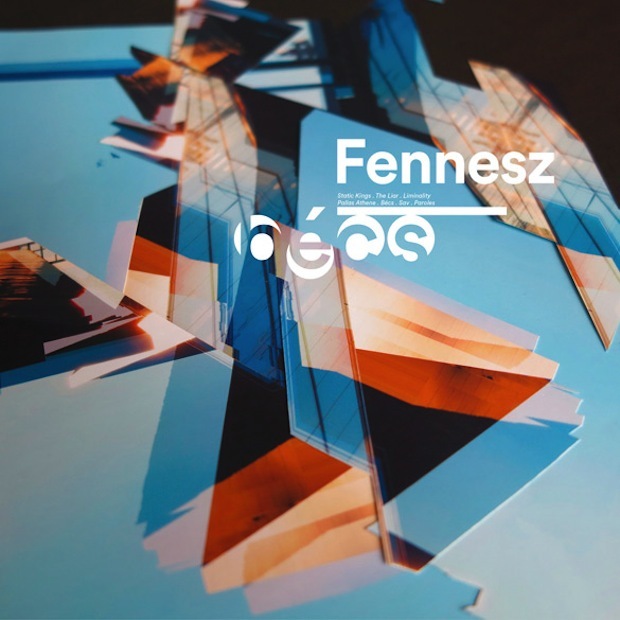 But that’s not all, because Bécs also marks the return of Fennesz to a more family dimension that is accomplished through the sounds of guitar and electronics, processed through a writing more popular than that played in the last two works, the Black Sea (2008) and refined Aun (2012). Beyond these first considerations must be said that this is an album that comes from the coexistence of heterogeneous approaches, and that this does not allow to categorizing it too rigidly. Coexist in the same environment songs with an open structure, like the Static Kings, The Liar or Pallas Athene, alongside other confined spaces within structured as Bécs, Liminality, and Paroles. Also on the sound emerges a game of contrasts that occurs both internally, when the Austrian composer alternates between melodic arpeggios and noise textures in Liminality or Paroles, and externally, between different tracks, when accompanied the feedback dissonant of Bécs to the polished metal overlays of Pallas Athene. Beyond these dualisms, the composition of the sound materials occurs through the predilection of a noise dimension, both when it is carried out electronically, with a certain abundance of sounds, and when it is obtained through a guitar that rarely performs in “clear”, since Fennesz prefer to work hard on the distortion, often taking it over the edge of the melody understandable. Electronics and guitar are the core sound basis; next to the limited presence of bass and drums in Static Kings, and a modular synthesizer in Sav. The guitar plays undoubtedly a starring role, but almost ironically, one of the most beautiful tracks of this album is Sav, where you emphasize the electronic sounds, plenty of effects, screpitii and small noises. The guitar alternates between a first phase in which stands out against a background almost inaudible, with a central stage from 3:37 until 5:40 achieves massive sonorities, mixing synthesizer Cédric Stevens, aka Acid Kirk. Another beautiful track is Liminality, in which the guitar is really the protagonist, as can be seen already from the full-bodied entry of 0:45, with a well-defined melodic turn, enriched by a light and warm distortion. Some fast drum interventions testify a dimension more analog, within a very defined structure, divided into two parts which rotate around 5:09, when beginning a progressive accumulation of noise which contrasts with the previous section, more melodic and pleasant. Listening Bécs it is natural thinking to Endless Summer, and this is a right thinking, but on condition that it isn’t the only one. Because if it is true that Bécs remember us certain passages of the 2001 album – of which also proposes certain atmospheres, and some games of contrast – it is equally important that it is not a merely reinterpretation 13 years later; but a work that coherently with the new times, living fully the contemporary sounds. The problem with this album, if anything, is its use of certain stylistic formulas rooted in the writing of Endless Summer; realized through an instrumental which is also very similar, which in fact makes it difficult to distinguish a real new identity. Something quite different from what happened in 2012 with Aun, in which the piano of Ryuichi Sakamoto, with its strong personality, dissolved the stylistic trends of Fennesz contributing to the birth of something new, which belongs to both as the result of collaboration between the Japanese composer and Fennesz. I want to finish with one note: Bécs, pronounced baeetch, is the Hungarian name of the city of Vienna.